BF4 Tickrate, Hit Detection & Netcode etc. This BF4 testing was done on the PC version of BF4. 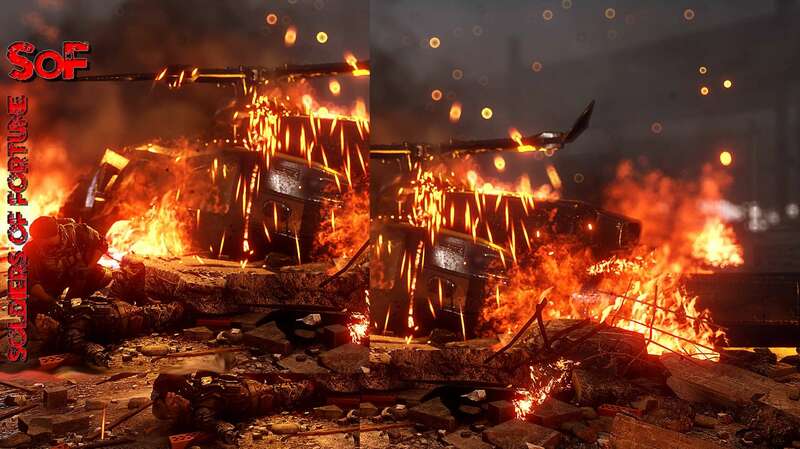 These tests may also explain the problems the PS4 and xBox One are showing with BF4. Lots of complicated issues in BF4 game coding here. Parts of this thread gets deep with explanations and reasons BF4 is so broken.... and if DICE will be able to fix the games performance issues or not at this point. Time will tell. Over the next few months... it will become clear if DICE can salvage BF4 or not. But in it's current state... real competitive player competition can't be held for Tourneys, where the game must perform correctly to be taken seriously. See the Battlelog thread link below. It's worth reading. BF4 Tickrate, hit detection, netcode etc. As of today... when you play BF4... here is what you are really fighting. Even if you have a great PC that can run BF4 at a steady 60 FPS, a very fast Internet connection and a low ping to the server, this won't guarantee that the hit registration is working. "This video shows scenes I recorded yesterday during just 1 hour of playing BF4." DICE stated today (1/29/14), that they are working on the poor Netcode issue in BF4 and hopes to have a patch to fix this problem in March. This is a good explanation of Netcode and MP network gaming. A lot is going on from your PS4 to the EA Servers, the BF4 game and then brings data updates back to you on your TV screen. If it doesn't all work together well... you get LAG, crashes or an enemy killing you when you are behind cover and such. So you may have a great internet connection and a fast router that's wired to your PS4... but those EA servers and the game could be the real problem. Subject: Re: BF4 Tickrate, Hit Detection & Netcode etc.